Some days are just plain hard. But God is powerful enough, loving enough and HERE enough to repair even the greatest brokenness. Sometimes things are really mixed up and messed up. There’s no order. There is nothing to grasp. You watch Plan A fall away in little bits. Plan A, scattered like sequins. You go through the motions of trying to clean up. Again. And then you think maybe there’s another way. I call plan B …. Plan B is Hope. It’s not perfect. It still has cracks around the edges. Sometimes it’s fragile and not very clear. But Plan B will work. And Plan B is always crazy BRAVE! Sometime Bravery is all you need to come up with Plan B.
Don’t give up! God knows exactly where you are. Ask Him to help you make it through. I do not have an easy life. Thoughts tumbled in my mind, trying to find reasons for others’ actions. I finally had to let go of the jumbled mass of thought because there was no resolution. I looked out the kitchen window and saw roses. It was the New Dawn come to visit, knocking at my window! 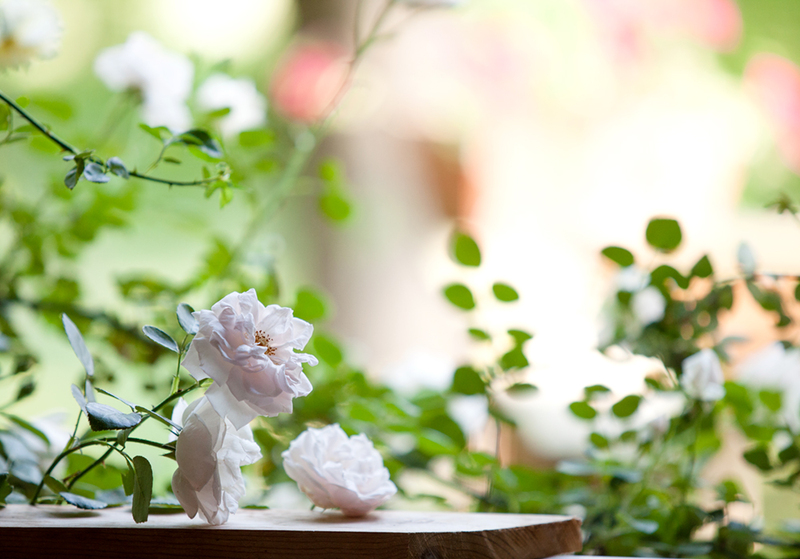 I opened the kitchen window and the roses rushed in, laying their furled velvet skirts on my window sill. The roses had grown over 30 feet to reach my kitchen window from the ground below. 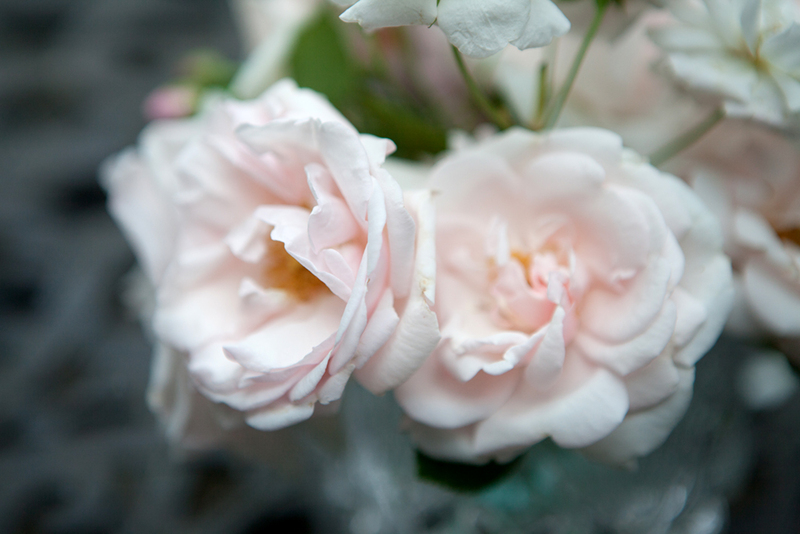 I leaned over the kitchen sink and smelled the rose. The delicious fragrance filled my senses and I knew everything would be ok. Maybe not today but there is always hope for tomorrow. 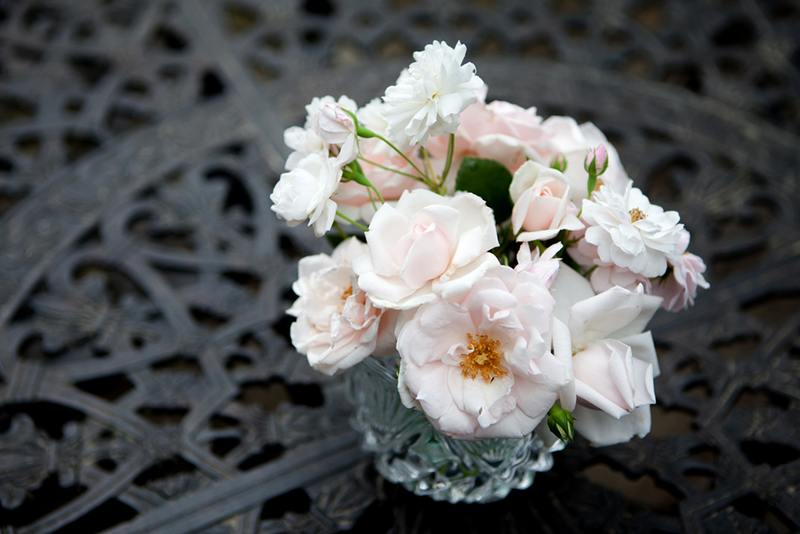 New Dawn and Blush Noisette rose bouquet. Scripture says that we are all one body. Jesus prayed that we would all be one. Did you ever wonder what part of the body you are? –Bone cells are very rigid. They are supposed to be that way. They don’t like change. But they have to be healthy with a little flex or they will become brittle and break. –Nerve cells are super sensitive. They respond instantly and impulsively. They pass on messages without even thinking. –Blood cells travel. They don’t stay in one place. They are very social. They pick up nutrients and components from some parts of the body and pass on nourishment to other parts. They are in constant communication as they travel. –Heart cells go through repetitive motion, day and night. They don’t move around and they work incredibly hard. What part of the body are you? What does an eyelash do? What does a toenail cell do? What does a skin cell do? What does a brain cell do? I’ve wondered over the years what part of the body I am. Sometimes I think I know and then that changes and I’m not sure. But this I do know: I was made to meditate and be creative and make things with my hands. I have friends who think arts and crafts are simply trivial stuff to do when you have spare time from your “real life” occupations. They think craft materials are a waste of money. But what if…consider carefully… what if being creative and making things with your hands WAS what you were created to do from the day you were formed? And if you stopped functioning in the capacity God planned when he made you, it would be a loss to humanity? This was made with my hands. 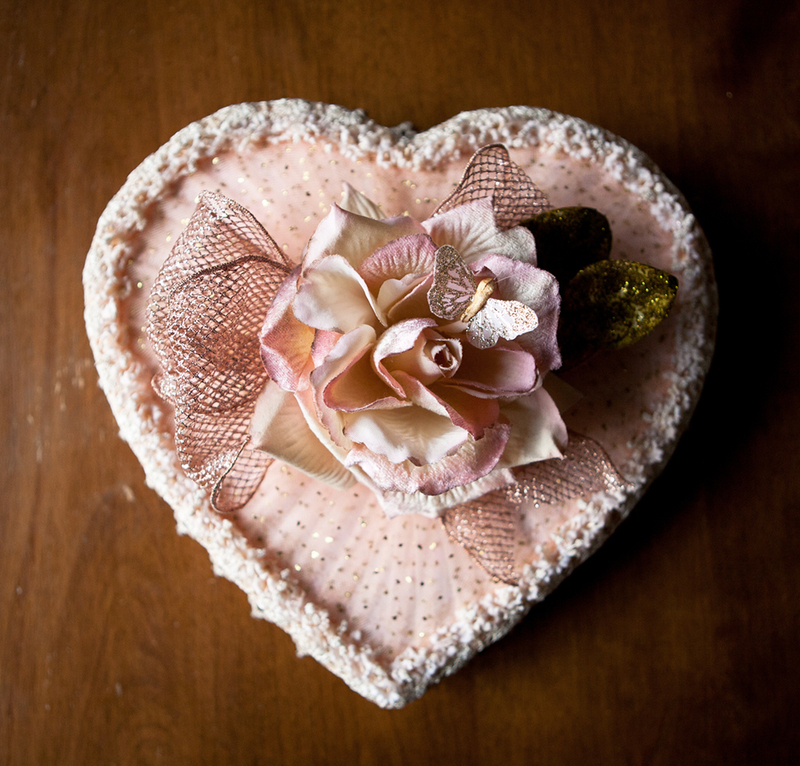 The beautiful design is by Alisa Noble using materials from Gilded Girls Stash Society. For too many years, I set aside making things because it wasn’t considered valuable in my social circle. It wasn’t considered an asset to society. It was thought to be frivolous and unworthy and wasteful. But it was God who made me creative from the day I was formed and being creative fulfills his design for my life. When I live fully the way I was made, life is amazing and good and there is no darkness there. Please be encouraged, dear creative reader, that what you do with your hands has enormous value to God. What you feel with your heart is valuable to humanity. What you say with your mouth is enlightening to society. Rejoice and be brave, don’t hold back.